[S2117] Website Family Search (https://familysearch.org). [S40] UK National Census for 1851 for UK, "HO 107/2164 f98 p18 88." [S2117] Website Family Search (https://familysearch.org) "p20/157 Joseph son of Ellen Bennet Stockton Heath illegitimate J Kingmill (?)." [S2] UK National Census for 1871 for UK, "RG10/3688 f47a p24 125." [S601] UK National Census for 1881 for UK, "RG11/3512 f50 p29 185." [S37] Website Cheshire BMD (http://cheshirebmd.org.uk/) "Warrington : C18/1/177." [S45] Website FreeBMD (http://freebmd.rootsweb.com/) "Marriages Dec 1875 BESWICK Edward Runcorn 8a 331." [S45] Website FreeBMD (http://freebmd.rootsweb.com/) "Marriages Dec 1875 BENNETT Sarah Runcorn 8a 331." [S601] UK National Census for 1881 for UK, "RG11/3512 f50a p30 185." [S37] Website Cheshire BMD (http://cheshirebmd.org.uk/) "Warrington : C19/1/162." [S2390] Burial Transcript, St Thomas, Stockton Heath, 28 Nov 1889 to 20 Oct 1916 "Vol 3 1 5 BESWICK Edward Stockton Heath 12 Dec 1889 56 C J Rolfe." [S45] Website FreeBMD (http://freebmd.rootsweb.com/) "Deaths Dec 1889 Beswick Edward 56 Runcorn 8a 146." [S37] Website Cheshire BMD (http://cheshirebmd.org.uk/) "Warrington : BUD/7/57." [S72] UK National Census for 1891 for UK, "RG12/3081 f5a p4 17." [S1088] Website Lancashire OPC (http://www.lan-opc.org.uk) "Baptism: 1 Aug 1886 St Elphin, Warrington, Lancs. [S704] UK National Census for 1901 for UK, "RG13/3585 f10 p11 60." [S2417] BT Marriage, St Luke (Warrington), unknown period. [S45] Website FreeBMD (http://freebmd.rootsweb.com/) "Deaths Jun 1906 Bennett Henry 46 Warrington 8c 115." [S37] Website Cheshire BMD (http://cheshirebmd.org.uk/) "Warrington : BUD/7/449." [S37] Website Cheshire BMD (http://cheshirebmd.org.uk/) "Warrington : BUD/8/367." [S2390] Burial Transcript, St Thomas, Stockton Heath, 28 Nov 1889 to 20 Oct 1916 "Vol 3 36 288 BENNETT Sarah Ellen Lymm 28 Mar 1895 20 H R C Vernon." [S37] Website Cheshire BMD (http://cheshirebmd.org.uk/) "Warrington : LAT/13/132." [S1088] Website Lancashire OPC (http://www.lan-opc.org.uk) "Marriage: 14 Aug 1910 St Luke, Warrington, Lancs. [S1088] Website Lancashire OPC (http://www.lan-opc.org.uk) "Baptism: 24 Jun 1925 St Luke, Warrington, Lancs. [S1088] Website Lancashire OPC (http://www.lan-opc.org.uk) "Baptism: 4 Dec 1927 St Luke, Warrington, Lancs. [S1088] Website Lancashire OPC (http://www.lan-opc.org.uk) "Baptism: 11 Apr 1929 St Luke, Warrington, Lancs. [S1088] Website Lancashire OPC (http://www.lan-opc.org.uk) "Baptism: 10 Feb 1932 St Luke, Warrington, Lancs. Clara Jefferson - 20, spinster, 23 Catherine St.
[S37] Website Cheshire BMD (http://cheshirebmd.org.uk/) "Warrington : LAT/13/429." [S37] Website Cheshire BMD (http://cheshirebmd.org.uk/) "Warrington : LAT/14/433." [S37] Website Cheshire BMD (http://cheshirebmd.org.uk/) "Warrington : C12/2/458." [S915] GEDCOM file created by Fred Tickle, 2007 "unknown cd." 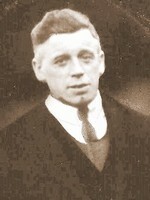 [S45] Website FreeBMD (http://freebmd.rootsweb.com/) "Births Dec 1914 BENNETT Arthur Birch Warrington 8c 470." [S37] Website Cheshire BMD (http://cheshirebmd.org.uk/) "Warrington : WAR/174/250." [S37] Website Cheshire BMD (http://cheshirebmd.org.uk/) "Warrington : LAT/18/39." [S37] Website Cheshire BMD (http://cheshirebmd.org.uk/) "Warrington : WAR/162/308." [S3835] National Health Service Register for UK (online image) "Ref: RG101/4658F/017/8 Letter Code: NRAQ." [S45] Website FreeBMD (http://freebmd.rootsweb.com/) "Births Jun 1888 WILLIAMS Ellen Warrington 8c 224." [S45] Website FreeBMD (http://freebmd.rootsweb.com/) "Births Dec 1913 Bennett Winifred Williams Warrington 8c 447." [S3835] National Health Service Register for UK (online image) "Ref: RG101/4666A/014/29 Letter Code: NRCN." [S45] Website FreeBMD (http://freebmd.rootsweb.com/) "Births Mar 1912 Bennett Frank Williams Warrington 8c 455." [S45] Website FreeBMD (http://freebmd.rootsweb.com/) "Births Sep 1915 BENNETT Annie Williams Warrington 8c 383." [S976] Marriages, St Barnabas (Warrington), 3/12/1916-13/8/1927 "p79/157." Date Extracted from Bacas Monday 9 May 2005." [S975] Baptism, St Barnabas (Warrington), 21/1/1923-18/11/1928 "p27/238." [S975] Baptism, St Barnabas (Warrington), 21/1/1923-18/11/1928 "p62/558."